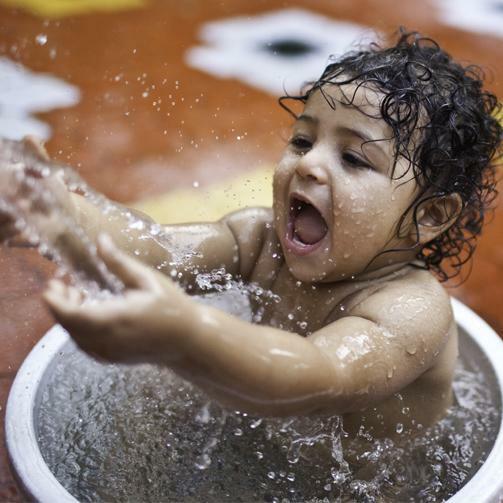 Baby bath time is not just about keeping your baby clean — emerging science reveals multisensory experiences are critical to helping shape your baby’s growing brain. With opportunities for touch, sight, smell and sound, a baby’s bath time is an excellent bonding experience and opportunity for you to nurture your baby and their development! Discover how developing a baby bath routine, various games and learning activities with your baby can help pave the way for their healthy development. The special bond between you two doesn’t only grow when you cuddle and touch; it grows with every activity you do together, including your baby bath time! 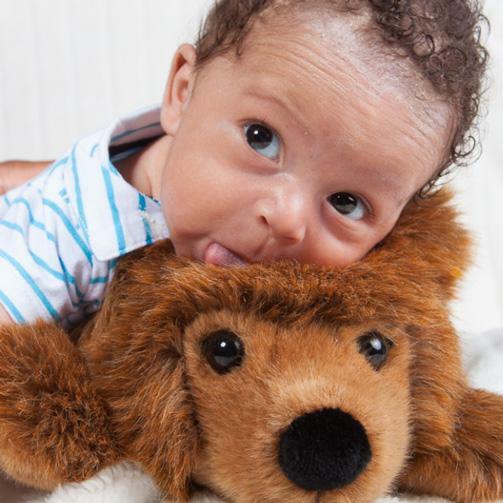 Check out our tips and guides below to strengthen the bond between you and your baby. Your toddler is becoming more independent every day, but they’re still learning from you. Help your toddler discover the world even more with extra ways to engage their senses. Social-emotional and physical development, language and thinking skills are just some of the aspects developed during your baby’s bath time! Bath time is an opportunity to help your baby learn and grow through their sense of touch, smell and time spent with you. Discover what you can do with your baby to help them get more out of their bath time. It’s not just water and splash anymore; it’s fun learning and healthy growing! As your baby’s hair grows, it will need the right hair care products to help keep it healthy and knot-free. Whether you’re styling their hair for a fancy occasion, a day at the park, or just to relax and play at home, we’ve got you covered! Find out how you can style your baby’s hair with these safe baby products fit for every occasion! As your baby grows, they’ll start to explore more, which means they’ll make more of a mess. Too many baths may dry out your baby’s skin, but you can strengthen your bond by discovering ways to keep your baby clean in between their adventurous explorations! A sponge bath is a great option to care for your newborn’s delicate needs, while still bonding and encouraging your baby’s healthy development through scent and touch. Some babies don’t like baths in the beginning, while some can’t wait —find out how you can give your baby a delicate bath, so they’re happy and joyful while feeling fresh and clean! Are you and your baby starting to feel bored and used to the baby bath routine? There are several fun activities you can do with your baby during their bath time. From puppets to water balloons - several options you can choose from to have fun with your little one! Routines provide familiarity and it’s a wonderful way to strengthen the parent-baby bond. Here are helpful tips on how to set a baby bath routine and get your baby excited for their bath time!